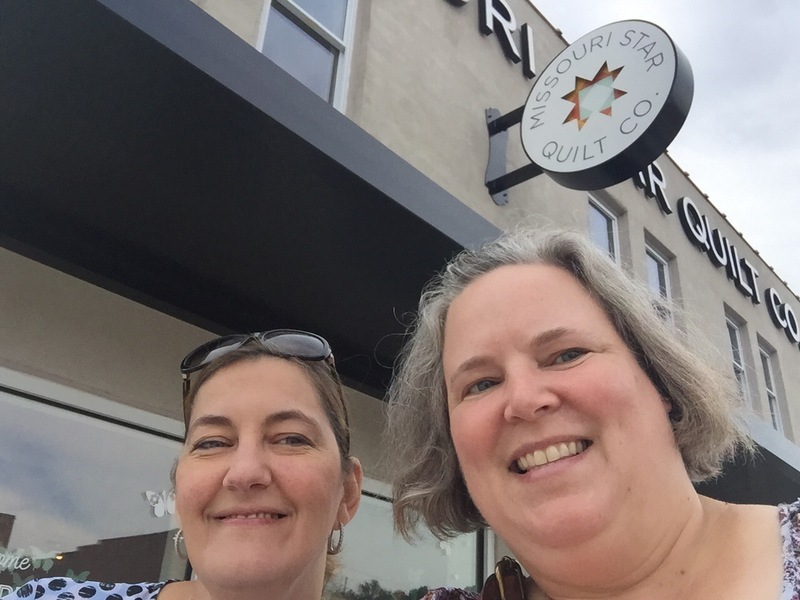 I recently had the opportunity to visit the Missouri Star Quilt Company. I don’t know what rock I have been living under, but I had really only heard of this in passing before Amy, Pam and Denise told me about it. Even then I didn’t pay much attention. What was I thinking? 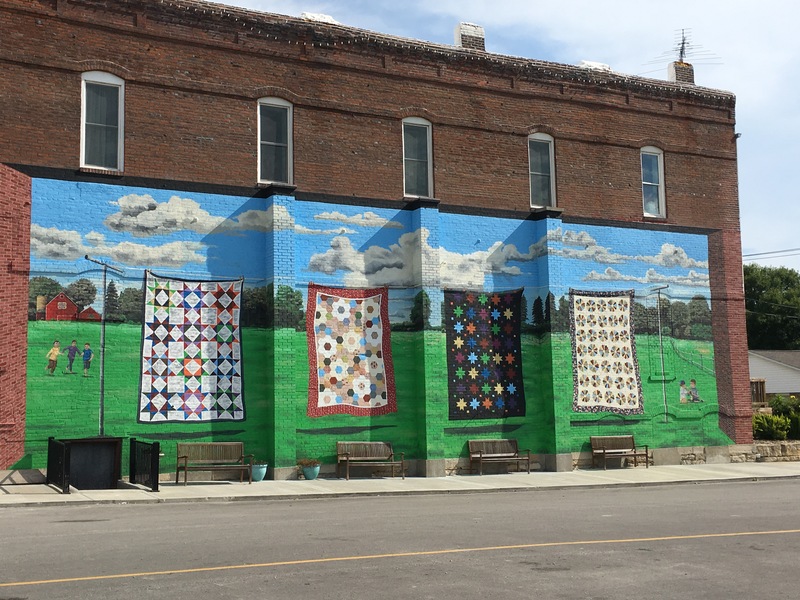 MSQC is a collection of 11 quilt shops on Main Street in Hamilton, MO. 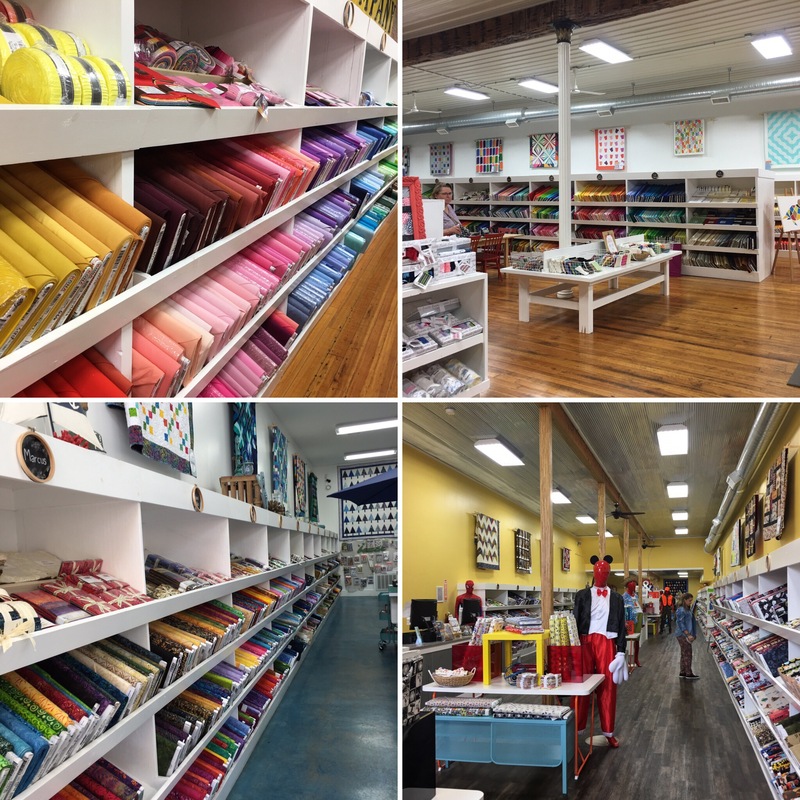 They have a huge online business, but TBH there are a ton of great places online to get fabric. The attraction to me is being able to go shop to shop and find a particular thing in each shop. I don’t think I got them all, but here is what I do remember. You first arrive at a welcome center where they get you to sign up for a loyalty program and you can earn Quilter’s Cash. Cool. I earned $7 and used it at my last shop. This main stop has a little sampling of each other shop. The first shop was the Mercantile, which was a quick drive by as I have no interest in reproduction prints. Then you cross the street and get to the real action. But first, an awesome mural. Next up, the primitives shop that had really cute wool, wool kits, yarn and primitives. I got Amy a little wool kit to thank her for letting me stay with her and picked up some cute sheep fabric to make a knitting needle case for my mother in law for Christmas. 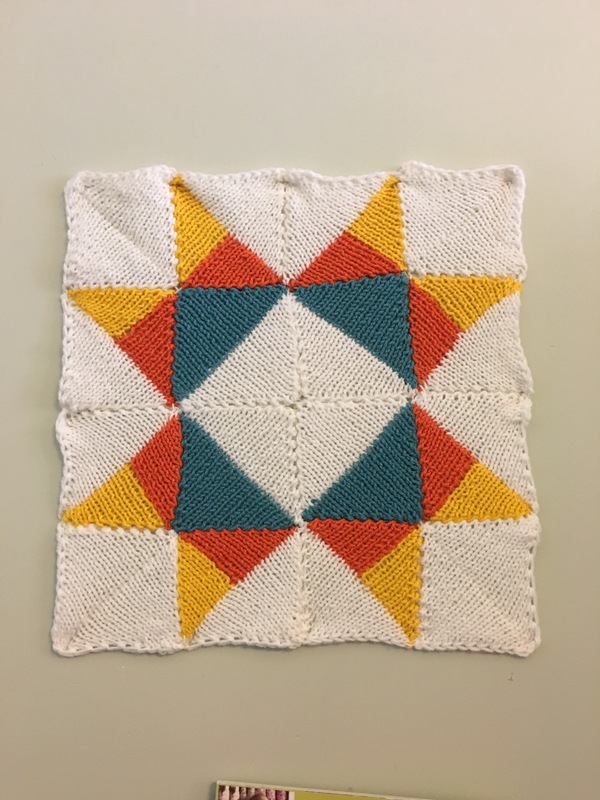 I liked this cute crocheted quilt block on the wall – I have to see if Ann-Lis could do this for me. 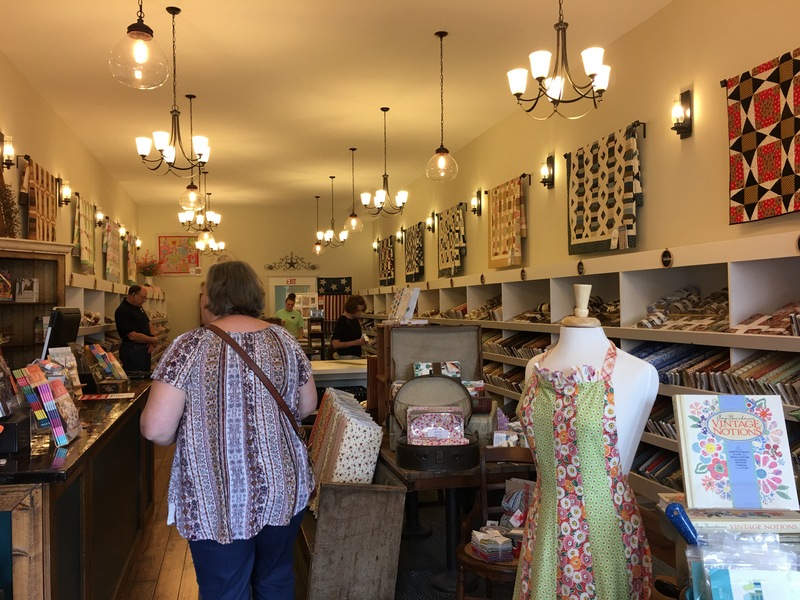 We popped into the shop selling licensed prints, Licensed to Sew, Penney’s Quilt Shop with all the solids and basics you could need and the Modern Shop with all the latest modern designers. 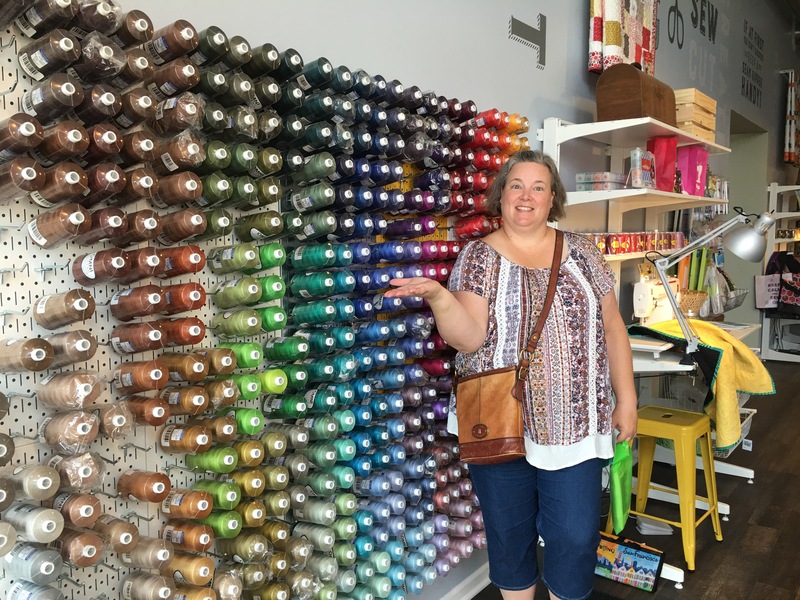 Think Cotton and Steel or Tula Pink. I did grab a 10″ pre-cuts pack there. 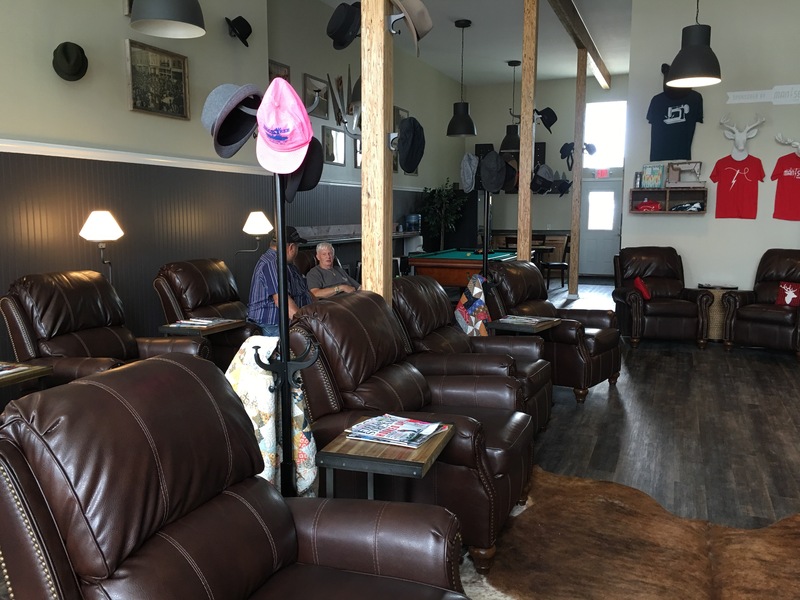 We stopped in Mansland which is perhaps the most original idea they’ve had – give the dudes a place to chill so the ladies can shop til they drop. Personally I think they should add a spa for the ladies too. Then we headed to Blue Sage for an awesome farm to table lunch. If you go to MSQC, go to Blue Sage for lunch. It was exceptional. 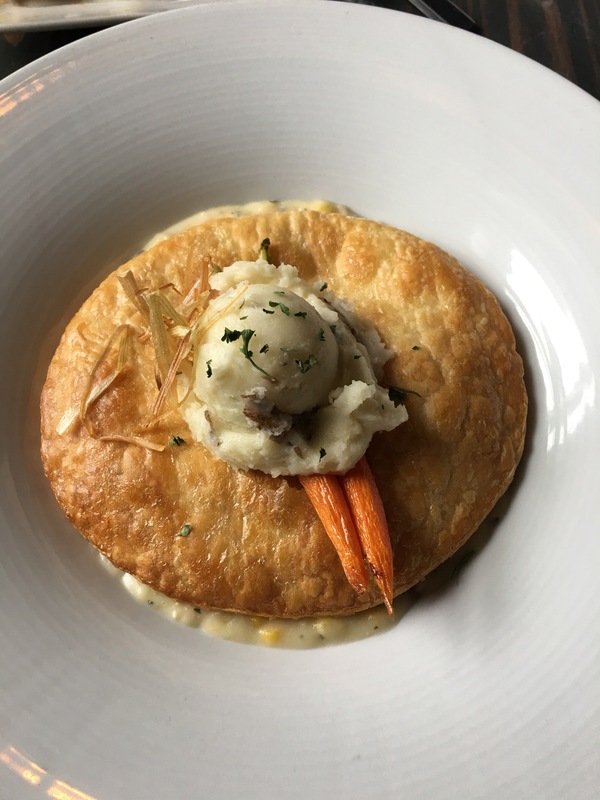 We both had the chicken pot pie. Do it. 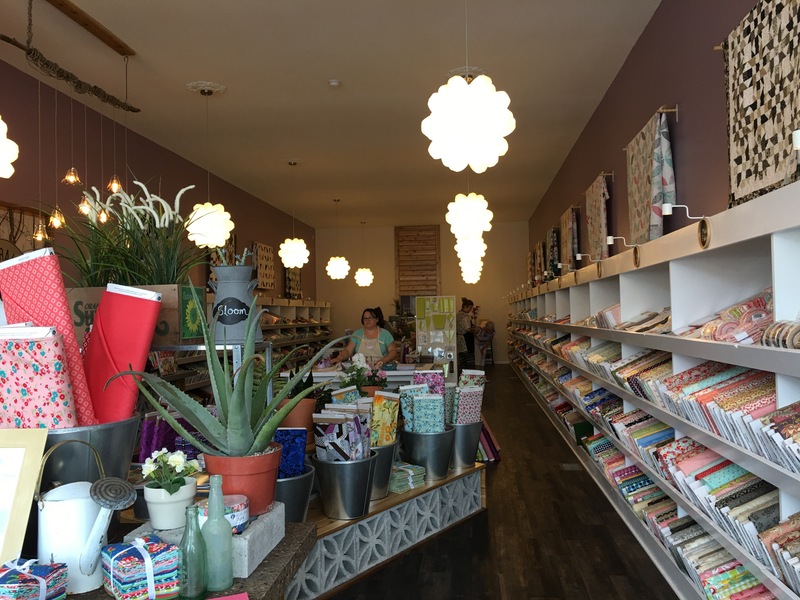 We then hit the Backing and Trims shop, the Kids and Babies shop, and the holiday related shop, Sew Seasonal. I am probably forgetting at least one. I managed a few pre-cut sets between the modern shop and the kids shop and also picked up a few cute yards here and there. It was a really fun day. The best was all that fabric in one place and of course the company. On the downside, it feels a little clinical. Think IKEA for everything. 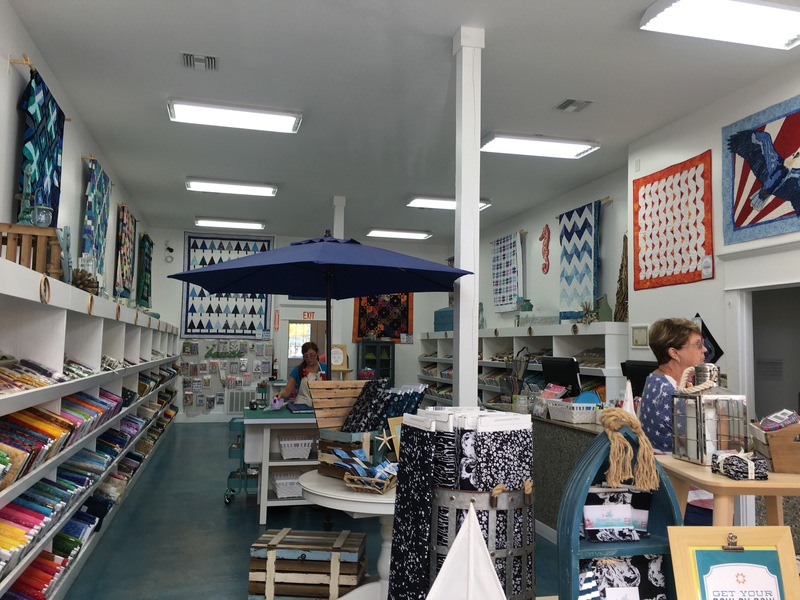 One of the best things about visiting a quilt shop is talking to the staff as they usually love quilting as much as you do. Here they are very friendly, but for the most part this is just a job and they are too busy filling internet orders to really engage. They did offer an appointment to have my photo taken with the owner Jenny, but I found that odd. Overall this was a great experience and a lot of fun. I will definitely go back and need to talk Jen into coming too. I will definitely bring a list and have a plan. Kudos to Jenny for having the vision and courage to do something so big. I had heard it described as Disney for quilters and that is just about right.